Just because a film depicts the excess of its main character doesn't necessarily mean the film itself falls under those qualities, right? Sure, many movies make it easy to relate much of a films overall tone and attributes in a way where one can speak unanimously about the main character and the film itself, but the big question with Martin Scorsese's latest is does he allow his film to fall into the trappings of the same temptations and indulgences his protagonist does? For the most part I would say the answer is a solid no. There is no way to look at the film and really get the sense that what the director and his now five time collaborator Leonardo DiCaprio are doing here is glorifying a man who doesn't deserve to ever have his name spoken in good regard again, not to mention in such a high profile film that numerous people will see and wonder how we'd even allow a dirtbag like this to seep into our competent consciousness. The reason why we don't mind watching this despite the unjust attention it will draw to the main character, why we find the tragic tale of someone like Jordan Belfort so intriguing is because he seemingly had everything anybody could want in order to experience a satisfying existence on this earth, but couldn't step back and appreciate how far he'd come, no, he always kept his eye on the future and how far he still felt he had to go. The Wolf of Wall Street can be an excessive film, it had a strong stopping point just after the two hour mark that would have made for a more than satisfying experience and would have allowed it the convenience of wrapping up the story with a few cue cards, but instead it continues on for almost another full hour hitting the narrative beats we've already seen before again only to result in conclusions we could have called the first time we got a real taste of just how far Belfort's greed, drug use and consistently unsatisfied carnal desires really went. Yet, at the same time it is very aware of itself and the point it intends to make. There are moments throughout the film where Scorsese hints at greatness, entire scenes even where you wish you could stay tucked in that little moment for a little bit longer while others go on for far too long and rather than re-enforce the throughline plot or contributing to character development, stand as evidence that more time was needed to fine tune the film. This is by no means a disappointment, as it is a strong film with easily the best performance of DiCaprio's illustrious career, but it is not the coherent masterpiece individual aspects of the ensemble piece hint it very well could have been. Jordan Belfort (Leonardo DiCaprio) is adamant about getting Donnie Azoff (Jonah Hill) off the phone. The film is like a sprawling, epic Greek tragedy made out as a black comedy. It is with that decision to make this a comedy more than going the assumed route of a drama that saves the film from becoming something that might have been unwatchable and would have seemingly attempted to find a redeemable quality in the protagonist that simply is not there. It is to Scorsese's past work though that we recognize what the director is doing here; whether it be Jake La Motta and his alcoholic, abusive self or even the mobsters of Casino and Goodfellas, Scorsese is not glamorizing a lifestyle, but he is telling a cautionary tale that is well aware of the state of its protagonist and while it doesn't seek to judge him it makes it obvious the type of guy he was and allows the audience to take him on their own terms in a way that allows us not to look up to him for all he had, but for us to realize how absurd he became simply by the drive of a love for money and the need to compensate for what he interpreted from society as what it meant to be successful. It is funny, because Scorsese makes it all the more evident as the film goes by and gets closer to its conclusion that the hassle and stress with which these guys put themselves through in order to feel a false sense of power, of entitlement will add up to little in the end. That, we, as an American society are always looking for that seal of approval, that verification that we are good enough to be considered of a certain class or regarded in a certain way that it makes us blind to the aspects of life we miss out on or will never be able to get back, that slip away as we distract ourselves with empty promises and endeavors. It is a call of importance, a judgement of what will be worth the time and work invested and if that is important enough to distract us from what will really be valued in life when we near the death bed. 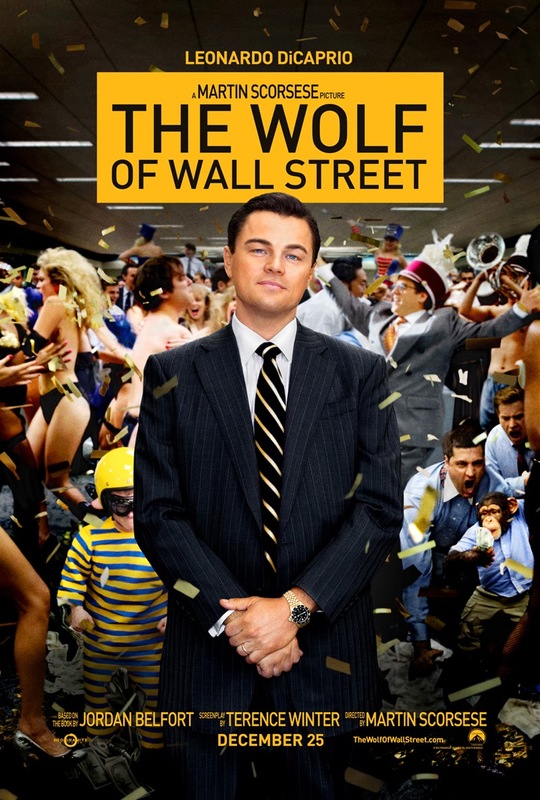 Belfort didn't take any of this into consideration when he was working his way up Wall Street. All the guy wanted was to live like his boss, to feel important, to be extravagant with little care as to who he could show off to. He was a self made man, sure, but one that was so unaccustomed to the lifestyle he built for himself that he took it too far and didn't know where those who had wealth such as his their entire lives drew the line. He was a rookie trying to look like an old pro and no matter how much money he made, how many women he married or slept with, or how many drugs he took to keep his high he still wouldn't be able to escape what was ultimately a hollow existence. That being said, what Scorsese's film does is show an extremely entertaining and hilarious tale of a man who knew no limits and that we can laugh openly at because of that very fact. I don't agree with the things Belfort did and I have no desire whatsoever to live a life like Belfort's, but that doesn't mean I didn't find the film to be an entertaining piece of art that features some of the best ensemble acting this year that has a style all its own and in some instances rifts on the director's previous work not because Scorsese is tiring and has no more tricks up his sleeve (the fact he made this film is proof the director is as much in his prime now as he ever was) but because he likes to make these recollections that set off a signal of familiarity that let familiar audiences know what he is going for while those who don't recognize them simply take as an exceptional storytelling function. This could best be applied to the way in which DiCaprio's Belfort addresses the camera from time to time in order to elicit a sense of where we are in the grand scheme of his life story. DiCaprio himself though, is electric here. He proves from moment one that he is fully invested in exposing Belfort for exactly who he was and how far he was able to push himself without killing himself. There were several times throughout the film I wondered how these people weren't going to die, how they wouldn't accidentally overdose or how they wouldn't be killed over some stupid bet or minuscule quarrel, but they continued to thrive and as much as Scorsese doesn't indict judgement upon these people DiCaprio's performance makes it more than clear that these are people to be repulsed by, that Belfort is a man who needs attention drawn to his actions not because they want to glorify his party boy lifestyle, but because he is exactly what is wrong with our culture today. One scene in particular that will go down as one of the best of the year if not of all time is when DiCaprio's Belfort, high off twenty year-old "ludes", must crawl from the inside of a country club to his Ferrari sitting outside and make it to his mansion less than a mile from where is. 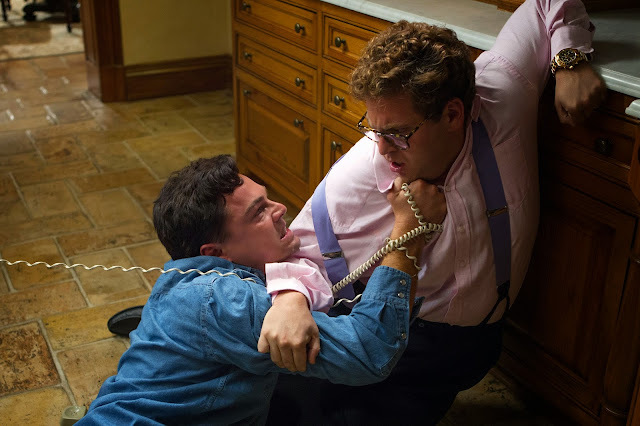 Unfortunately, it took ninety-minutes for the effects of the drugs to set in and when he enters the "cerebral palsy" phase of the high he is on a very important call that leaves him needing to get back to his house and halt the action of his best friend Donnie Azoff (Jonah Hill). The physical performance here is incredible, but more than that DiCaprio makes us feel the entire, unflattering reason of that hollow existence in how he relays Belfort's constant need to repulse that truth. Belfort's second wife Naomi (Margot Robbie) plays hard to get. Beyond these stylistic choices and the demanding performance of DiCaprio though, there is plenty more that makes The Wolf of Wall Street a film that demands to be seen not for its sheer scope, but for the amount of talent involved in bringing this convention-defying story to life that doesn't depend on the desperation of the human spirit for its epiphany, but the true excess and pointlessness of it all. As Azoff, Jonah Hill again makes a strong statement for just how far he will go in his career. He is no longer the sub par Seth Rogen that will never get out from under that same comedy umbrella, but he is a force to be reckoned with in any genre. Here, he wisely chooses to play to his comedic strengths while knowing that his dramatic work will be subtle enough to not be showy or come off as trying too hard, but instead conveys an easy transition that will place him as not only one of the best supporting players of the year, but one of the most memorable second fiddle players in all of cinema. Hill is in grand company though as a roster that includes Kyle Chandler, Margot Robbie, Matthew McConaughey, Rob Reiner, Jon Bernthal, Jean Dujardin and Joanna Lumley contribute in major ways that only enhance the overall experience of the film and the point it is making. McConaughey, hot off his Oscar-bait turn in Dallas Buyer's Club, is up and out early in the film, but not without instilling in Belfort everything he needs to create the debaucherous persona every stockbroker must seemingly take on. Reiner is notably hilarious as Belfort's constantly stressed father while both Dujardin and Lumley prove the most interesting of supporting players not only for the roles they play in Belfort's life, but the sneakiness of their performances. Robbie takes on the role of Belfort's second wife that personifies his ideal woman while providing little substance between the two, but Robbie plays her role in a way where we feel how she felt being married to someone who did little more than treat her as an object and in doing so is more than able to hold her own against DiCaprio. Chandler doesn't show up nearly as much as I expected, but the guy is so damn good and especially at playing FBI agents by this point, that he delivers nothing but solid work when he does pop up. There are still so many smaller facets of the film, whether it be Belfort's gang of misfits that he starts his company with (P.J. Byrne, Kenneth Choi, Brian Sacca, Henry Zebrowski, Ethan Suplee) and the unconventional atmosphere they create or instances where the film becomes so outlandish I wouldn't believe what was happening if I knew it wasn't true. There is a line Belfort says in one of his many rousing speeches that goes, "I want you to deal with your problems by becoming rich." This, while providing reason to look at Belfort as the criminal and villain he was also turns the tables and asks the audience what we would do were we given his resources? Would we indeed deal with them, or like Belfort, would we simply continue to create more and become less and less of who we once were. It is a tough question that the final shot of the film re-enforces with great pleasure while the small scene with Chandler's character just prior makes us question why those who do nothing but earn an honest living seem to end up as the most undesirable roles in our society. It all goes back to that question of what our culture deems noteworthy, deems successful and that inconspicuous goal of what it means to have made it. Jordan Belfort chased down that goal until he had it nailed to his mantle, yet we look at him and we see everything wrong with this world. What does that say about who we are? About those people going to his seminars and what is it that Scorsese is really trying to tell us? 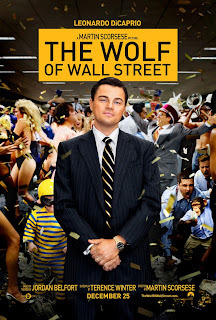 While I don't think the answer is as clear as it could have been The Wolf of Wall Street makes a damn good case as to why it is so easy to fall under someone like Belfort's spell while supplying mountains of reason why we need to ignore them.